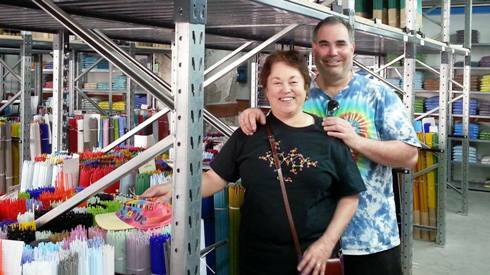 We personally hand pick all of our millefiori at the world renowned Effetre factory in Murano/Venice, Italy. Murano Millefiori stocks the traditional millefiori slices (raw cut, no pre-drilled holes) as well as the more unusual ones such as swirls, stars, squares and other designs! All of our millefiori is made in Murano and is COE 104. All millefiori is compatible with Moretti Rods and Moretti glass. Our assortments and color paks are custom blended and cannot be found anywhere else. We offer more single color & design selections than anyplace on earth! We try to keep our retail prices as low as possible and regularly offer many selected styles on sale. ~ Slices vary from 2mm to 30mm in diameter and thickness from 1/8 inch to 1/2 - 1" (also called 'Grand Tronconi'). COE is 104 - compatible with Moretti Glass & Moretti rods. Variations in size, color and thickness of all glass products are to be expected (some are opaque, opaque with some transparency, or totally transparent). Because these are difficult to photograph, clear transparent may appear white in the catalog or the background color on-line. numbers vary depending on the design, shape and thickness of cut. Every shipment we receive from the factory is a little different. Images are approximate and should display correctly at 1024 x 768 resolution. If you are using a different resolution, printing this page should give you an accurate chart. Thank You for visiting Murano Millefiori !